5 49 Be the first to write a review! Bring back your car&apos;s original shine! 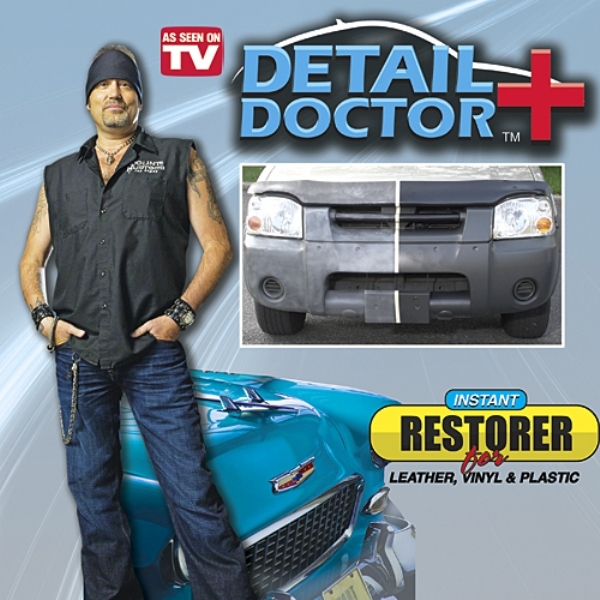 Bring back your car&apos;s original shine with the instant restorer trusted by Danny "The Count" Koker from Counting Cars & Pawn Stars. Use your own sponge or cloth and the Detail Doctor for a quick coat that returns your paint to its original color that lasts for months. Also provides a UV protection that lasts. Use on your bumpers, hood, door handles, mirrors and moldings.